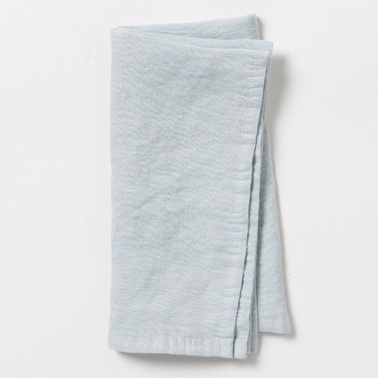 Dine and crumb-catch in style with the Dine Duck Egg Linen Napkin. And as a beautiful bonus, the natural woven look of linen means no ironing required. Care: Cold gentle machine wash. Do not bleach. Drip dry in shade or tumble dry on low. Warm iron if required. Dry cleanable. Linen fades over time. We recommend avoiding direct light sources. Fabric fades over time.